One of the important decision you have to make while setting up your online venture is to choose the right hosting provider. As a beginner or even a person with technical expertise, the step to choose the best WordPress hosting provider is often overlooked. 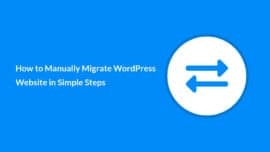 Considering that, in this guide, we will help you to make an informed decision about choosing the best WordPress hosting. In a broader sense, if we take a look at the different types of web hosting options available to us these days, without going into technical detail. There are five types of web hosting options available these days, based on their features. We will name one hosting provider from each of those web hosting types. It is for you to get an idea and to help you with your search. Let’s discuss those hosting types one by one. Free hosting providers as the name suggests, offers you free hosting on their servers. These providers give away free hosting for numerous reasons like their hosting services promotion. In case, you are serious about pursuing your online venture than a mere hobby. We recommend that you stay away from this option. Why? There are a number of reasons for that. Firstly, the hosting provider can take your site down anytime. Secondly, you will not have access to support of any sort in case something goes wrong with your website. You will also, of course, don’t have access to premium services like maintenance and updates. You can start with WordPress.com which is although a premium WordPress services agency. It provides free website hosting. 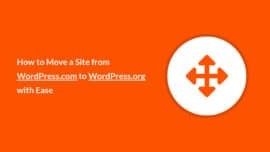 You can explore more about the WordPress.com and WordPress.org difference in our post here. Shared hosting is most widely used in small websites. 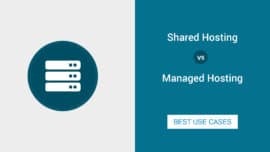 The concept of shared hosting is that your website is hosted on a server and is shared with other websites on the same server. This option best suits those who are in the early stage of their online venture as they have started getting traction for their website. There are a few concerns regarding this category of hosting. For example, if other websites are attracting a lot of traffic than it can affect your website’s performance. Also, in case an ISP blocks any of the websites which reside with your website. There is a risk that, you have lost the user base associated with that ISP. That being said, if you have selected a good hosting provider, then you shouldn’t be much worried about that. The modern hardware equipments are much more powerful these days than a decade ago. In case you are trying to test the waters let’s say, in blogging for yourself. Then, free web hosting of WordPress website can be one of a viable option for you to choose. You should also keep in mind that there is no such thing as “unlimited bandwidth or storage.” These are only marketing tactics. You will be charged or forced to upgrade if your website is generating more traffic and utilizing more server resources than allocated. BlueHost has been providing hosting services since 1996. It provides different web hosting solutions. This platform provides WordPress hosting with many features. It’s the reason BlueHost is recommended by WordPress. One another popular hosting solution for WordPress is to avail services of managed hosting providers. These platforms take a lot of grunt work off of your shoulders like server maintenance, security, regular updates and alike. In case, you are a non-techie or even are short of a time. It’s the best option to opt in. But be prepared for increased monthly billings than previously discussed options. If you want more control over your website and have the time to maintain the website all by yourself than managed hosting is not the best option for you to choose. We couldn’t recommend any other solution than Cloudways.com. Cloudways is different in a way that it let us choose cloud of our liking and offers features on top of that. As a matter of fact, CodexSpot is also hosted and managed by Cloudways. Although, we have recently migrated to this platform. We are enjoying their super awesome support and their managed features, only when our geeky souls let us. Once your website starts getting a lot of traffic you can switch to Virtual Private Server (VPS) option. You should, however, be aware that VPS is an expensive option. The hosting providers create a virtual server with dedicated CPU, Memory, Storage options like super fast SSD drives and many other features. Using this approach gives you great control over your server’s resources. In other words, you are free to optimize your server as you see fit for your website. An optimized traffic heavy website increases your chance of more revenue, therefore, justifying its costly hosting. Siteground.com is more than just a hosting provider. It provides different web hosting solutions, even cloud hosting options. It’s VPS features gives you a refine control on your website resources. 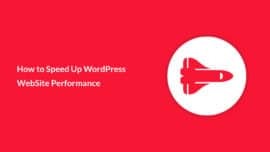 There is no match when it comes to hosting WordPress websites on this platform. Although, this guide is more focused on beginners. But, for the sake of completeness, we have included this option as well. Dedicated hosting is to rent a physical server in a data center of the hosting provider. A dedicated server, among other benefits, gives you control on every inch of your machine which definitely has a good impact on the performance of your website. Renting out a dedicated server truly tops the most expensive hosting options. Many businesses won’t ever need this option unless they have massive traffic, need to host a complex web application or require CPU intensive number crunching. HostGator.com has been in the hosting providing business for over 15 years now. They provide shared, reseller, VPS and dedicated hosting options. After the 2012/2013 setbacks, they have improved their services and has been going strong for over 6 years now. That concludes the tour. We hope you will find this post a useful resource for you. If you like this guide, don’t forget to share your feedback, subscribe and spread the word. In fact, we will greatly appreciate it by saying… Thank you!